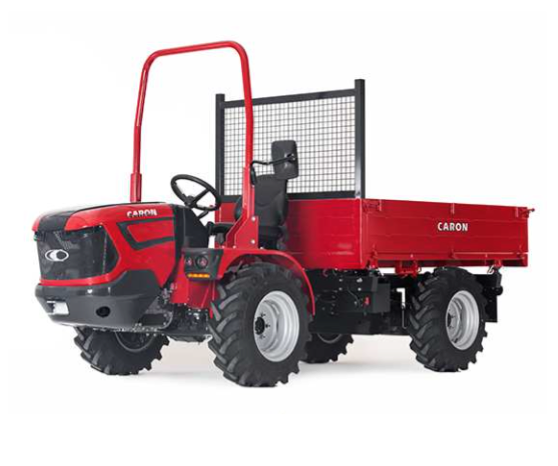 European Approval for AR 100 as agricultural tractor. Total approved mass 3500 kg, towable mass of 1000 kg (unbraked). 1 seat with safety belt. Models can perform as a stretched tractor on hillsides, a transport vehicle or a platform for a specialist equipment. Utility vehicles although more costly than normal tractors, can because of a long chassis and low centre of gravity be the best choice for operations on soft or uneven ground.